Change in perspective. The field of genetics has been revolutionized over the last two decades, from both a research and clinical care perspective. In epilepsy, the impact of new genetic testing technologies has led to a paradigm shift in the way we think about the etiology of disease. Precision medicine. The recent launch of the Precision Medicine Initiative makes the implementation of genetic medicine into every day medical practice even more relevant. Genetic counselors are therefore uniquely poised to help clinicians and researchers return this information to patients and their families. But what exactly is genetic counseling and who are genetic counselors? Who are genetic counselors? Genetic counselors (GCs) are healthcare professionals with specialized training in basic science, medical genetics, epidemiological principles, counseling skills and theories, and risk assessment. In the United States and Canada, board certified genetic counselors have graduated from Master’s level training programs accredited by the American Board of Genetic Counseling (ABGC) and have passed a board certification exam by the ABGC. Many states also offer independent licensure for genetic counselors. Combining their training in medical genetics and counseling with interpersonal skills, genetic counselors traditionally have worked in a broad range of clinical setting to provide services for clients and their families. Genetic counselors can help patients understand the risk of a disease for themselves or at-risk family members, understand what the diagnosis means, identify appropriate support and resources, and help patients come to terms with the diagnosis. Oftentimes genetic counselors serve as “translators” of genetic information which can seem overwhelming for families in the midst of receiving a life-changing diagnosis. 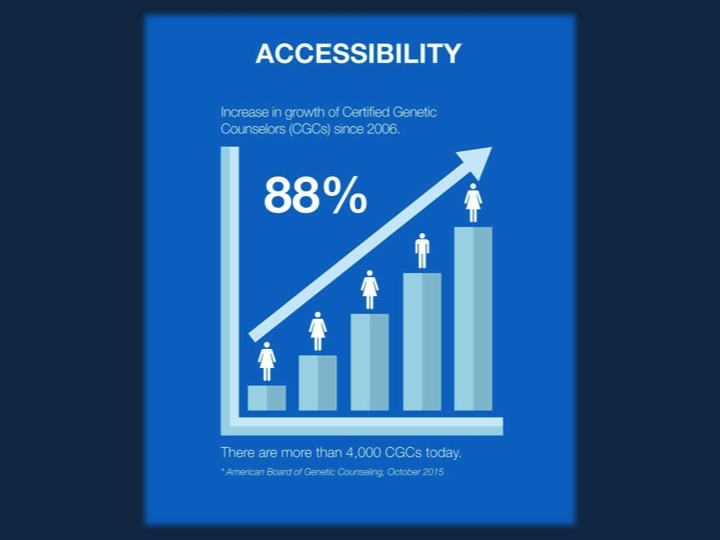 With the advent of next generation sequencing technologies, the number of board certified genetic counselors has increased dramatically. Many genetic counselors are taking on expanded roles in research and administration, genomic medicine, patient advocacy groups, and diagnostic laboratories. EpiGC. While genetic counselors have been involved in neurology practice for many years, until recently there were no GCs that specialized in epilepsy. The advent of next generation sequencing, which revolutionized molecular testing options for patients with epilepsy, has changed all of that. Of the more than 100 genetic counselors who specialize in neurogenetics, there are now at least two dozen genetic counselors with specialized expertise in epilepsy genetics. We have a variety of roles in the clinic, in clinical research and with diagnostic laboratories. EpiGC’s Vision: Integrating genetic counseling into the field of epilepsy genetics to facilitate better outcomes for patients and families affected by epilepsy. EpiGC’s Mission: To promote access to quality genetics services for patients and families affected by epilepsy through research, public policy/advocacy, education and outreach activities. Serve as a resource/provide education to the neurology community and advocacy groups. Promote the value of genetics and genetic counseling in the clinical evaluation of the patient with epilepsy. Promote the use of genetic testing laboratories that utilize the expertise of genetic counselors. Advocate for the improved reimbursement of genetic testing for epilepsy. Where will you see EpiGC in the future? Look for EpiGC members at future scientific meetings. We also plan to actively contribute future posts to this blog, as well as continue to be involved in scientific publications relevant to genetic counseling issues in the epilepsies. We hope to become active members of the epilepsy genetics community and want to work with all of you towards the common goal of integrating genetics as a standard part of epilepsy care for all patients. If you have questions or comments about EpiGC please contact Beth Rosen Sheidley, MS, CGC (beth.sheidley@childrens.harvard.edu) or Emily Partack, MS, LGC (emily.partack@cchmc.org). You can also find a genetic counselor in your area using the National Society of Genetic Counselors’ Find a Genetic Counselor tool at FindAGeneticCounselor.com.